Before installing this circuit on a layout this simple circuit can be used to test the circuit board and demonstrate its operation. 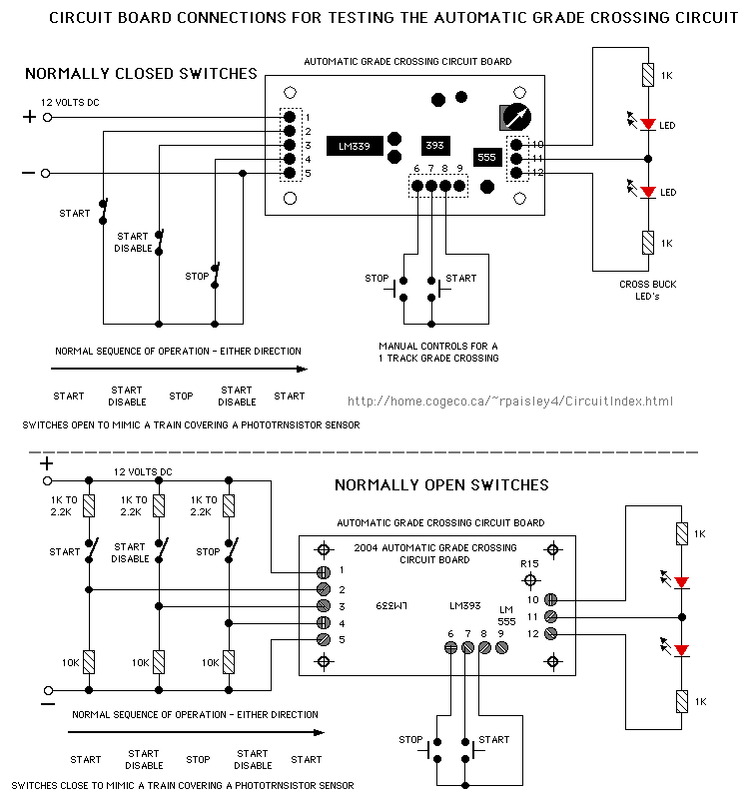 SPST switches are used in place of the phototransistors to simulate their function. An open or closed switch is the same as a covered or dark phototransistor. This circuit can be used for the 2004 and 2008 circuit boards as the input terminals are the same for both. If switches are not available, disconnecting of connecting the wires where the switches are will also work.